Day two of #30dayswild and we had to stay in all day to wait for deliveries which put a bit of a spanner in the works. Athena’s party is today so we had a lot of preparation to do so, apart from a quick spot of gardening, we spent the rest of the day in the house. 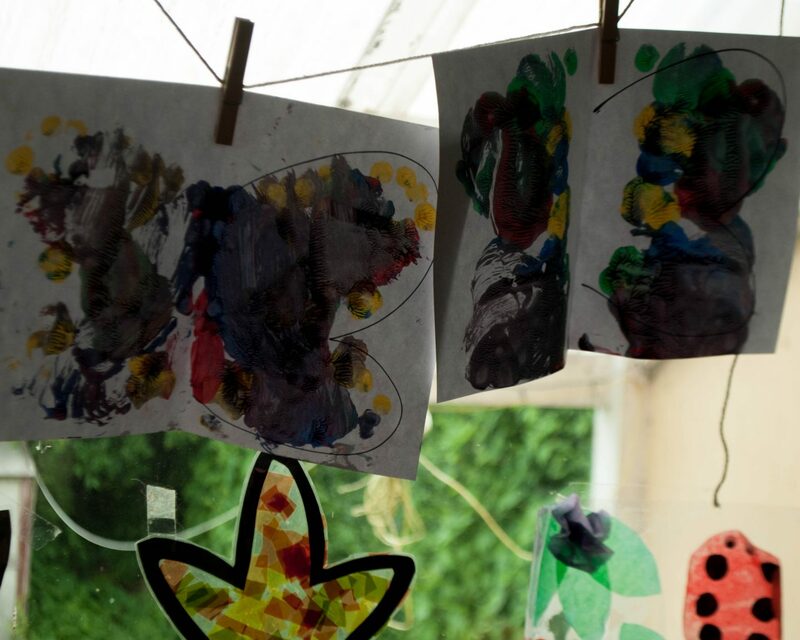 I really didn’t want to miss a day of wildness so we decided to do a spot of nature themed crafts instead. 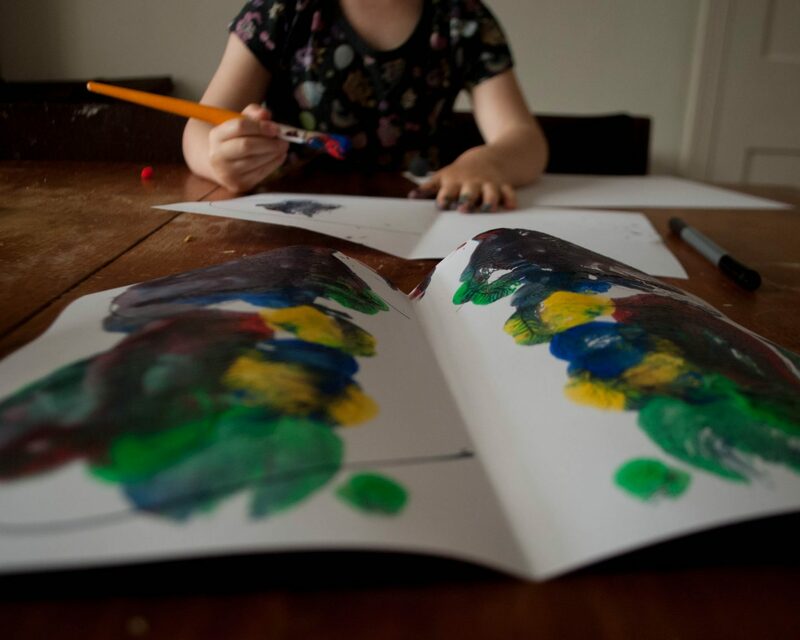 I thought a little bit of butterfly painting would be simple enough for both girls to get involved in without me taking over. Athena hasn’t done too much painting yet but it’s something I used to do all of the time with Lyra when she was one and under so it was past time that Athena got some practice in. 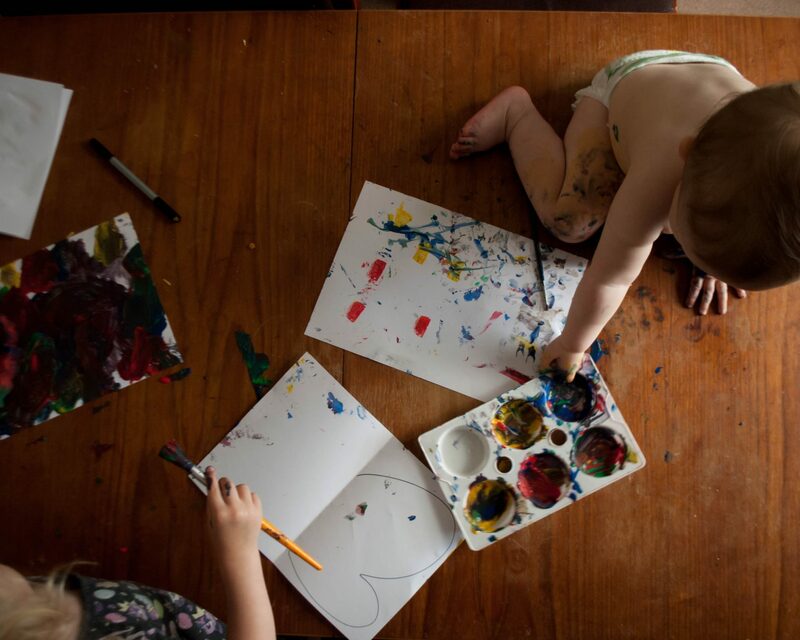 As with most painting sessions it started very quietly as both girls concentrated on their tasks. It was nice to chat about butterflies with Lyra as she chose what colours and patterns to use for her painting. 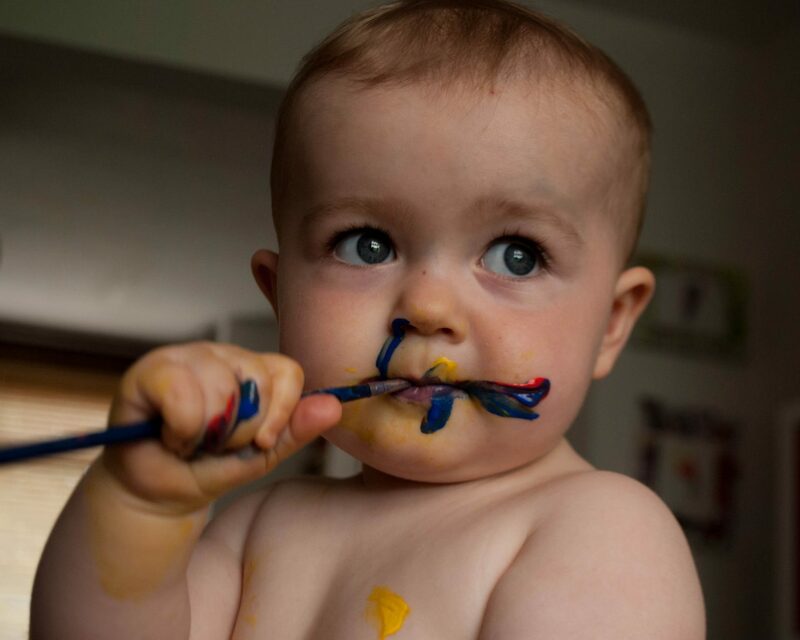 Then, before long, colours started to get mixed up and Athena started tasting the paint. Things quickly deteriorated from there. I think we lasted about another ten minutes before Athena was totally covered in paint and Lyra had mixed all of the colours into a rather unattractive brown/grey combination. 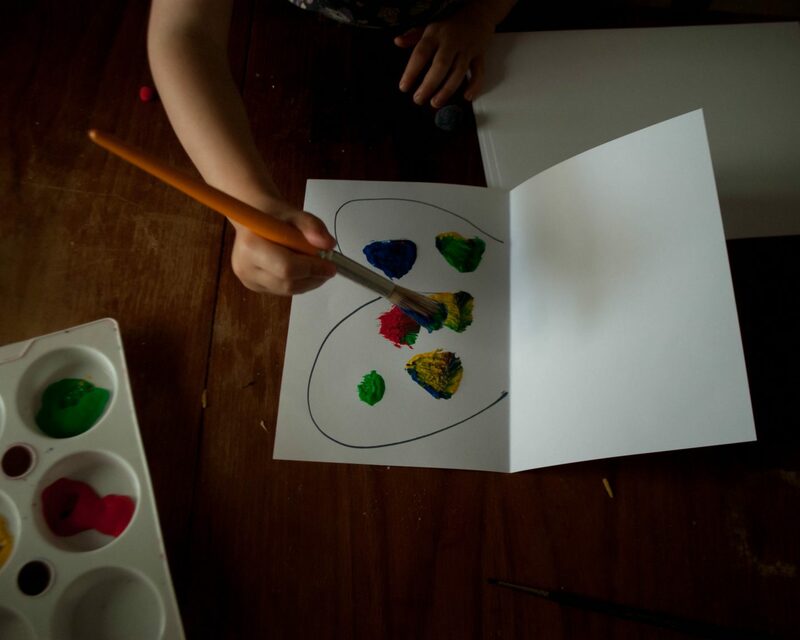 We ended up with a couple of kind of butterfly shaped paintings and a whole lot of mess. Both girls needed a bath but it was completely worth it as we had a lot of fun getting messy! 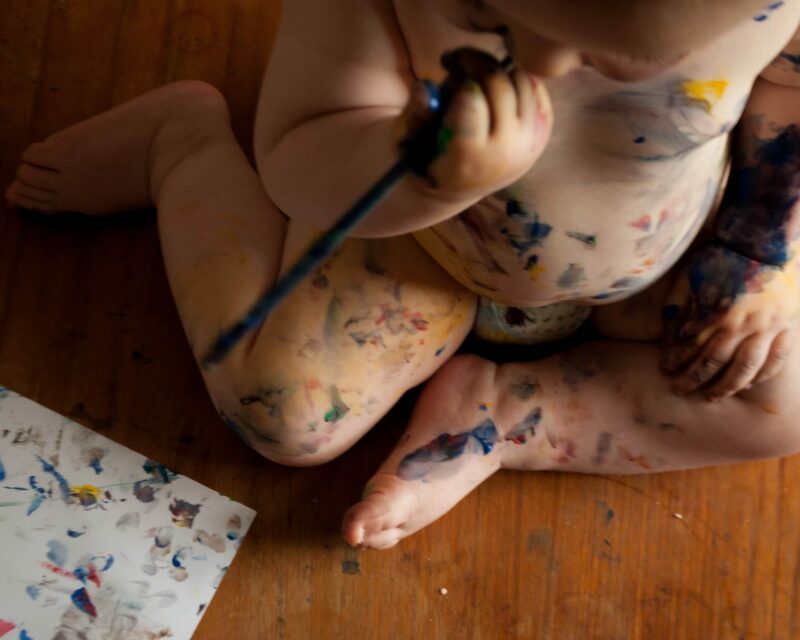 I’ve still not done painting with my youngest. Very brave of you! Great photos.